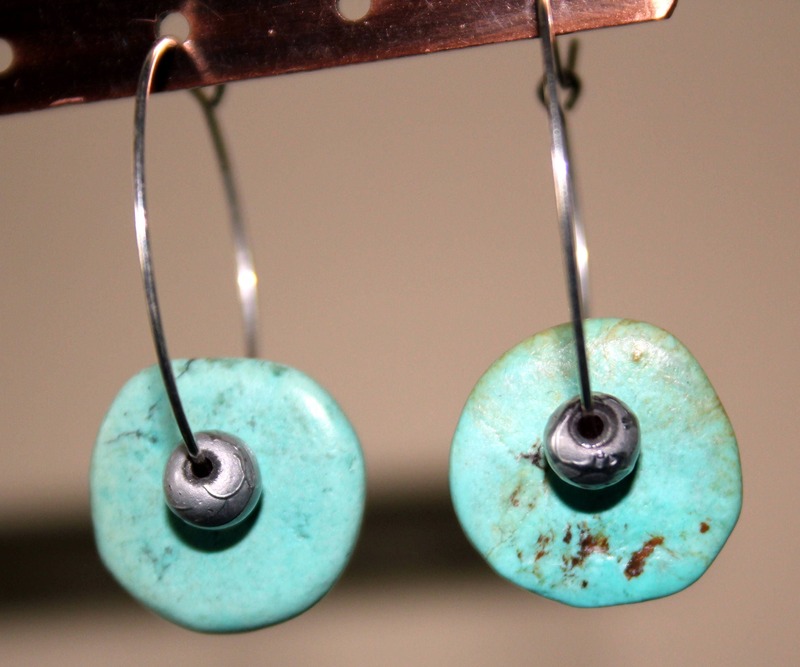 These natural turquoise disc earrings are minimalist design and are light and have a lot of movement. 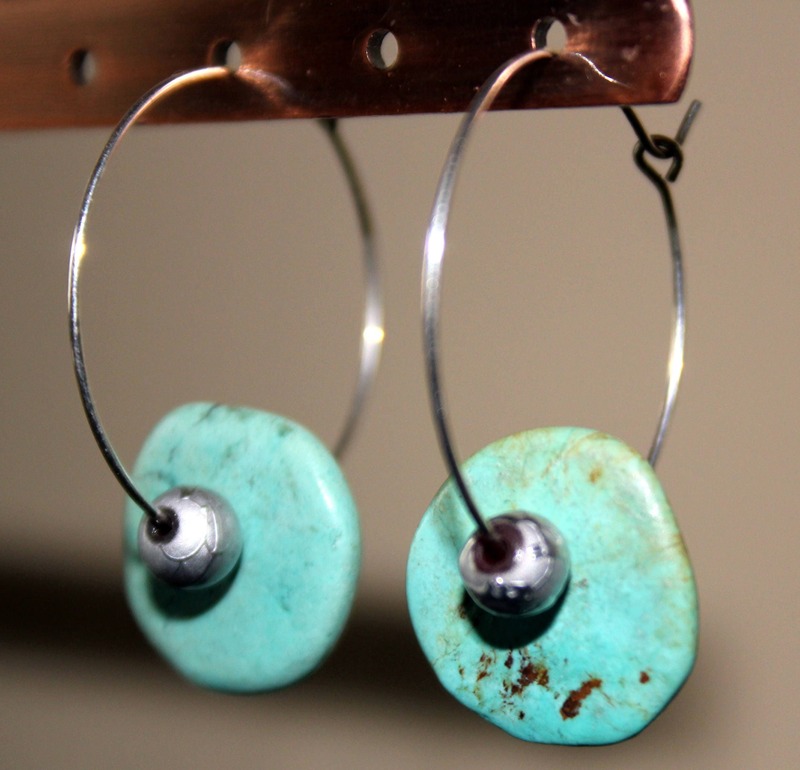 The discs are on sterling threader hoops that go through the ear and then secure through the loop in the back of the ear. 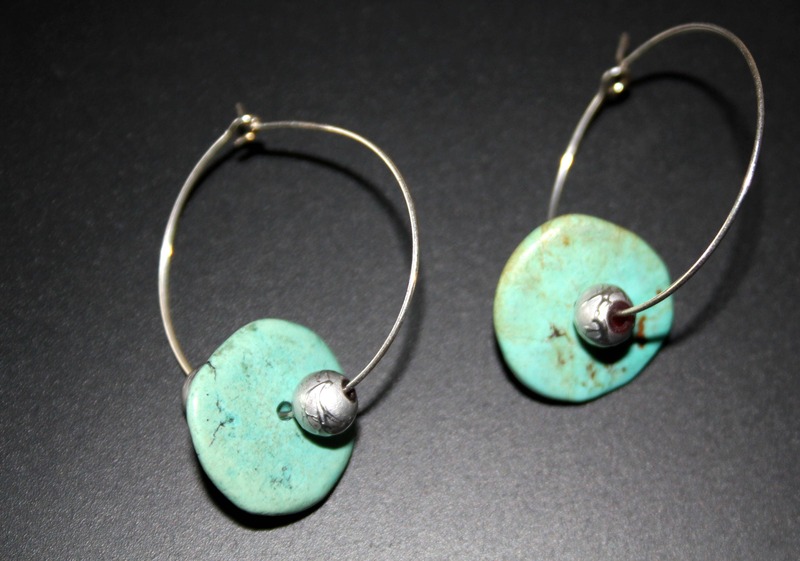 The discs are accented with two patterned silver glass beads and have natural inclusions and color flecks.